In Charles Dickens' A Christmas Carol, Scrooge discovers his love for family, friends and community at a festive Christmas gathering held at the home of the affable Mr. and Mrs. Fezziwig. 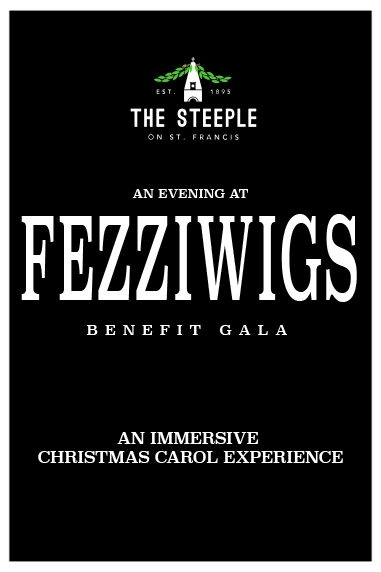 Eastern Shore Repertory Theatre (ESRT) announces "An Evening at Fezziwigs," a benefit gala in support of ESRT's mission and an unforgettable immersive holiday experience. The evening will include a special premiere performance A Christmas Carol, The Musical in addition to cocktails and hors d'ouvres as guests are imagined into a delightful Victorian holiday celebration where we too embrace our own community. The festivities begin November 30, 2018 at The Steeple on St. Francis, 251 St. Francis Street in Downtown Mobile at 7:00 p.m. Performance begins at 7:30 p.m.